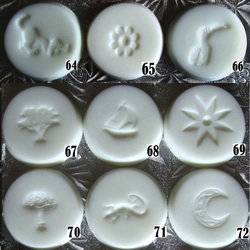 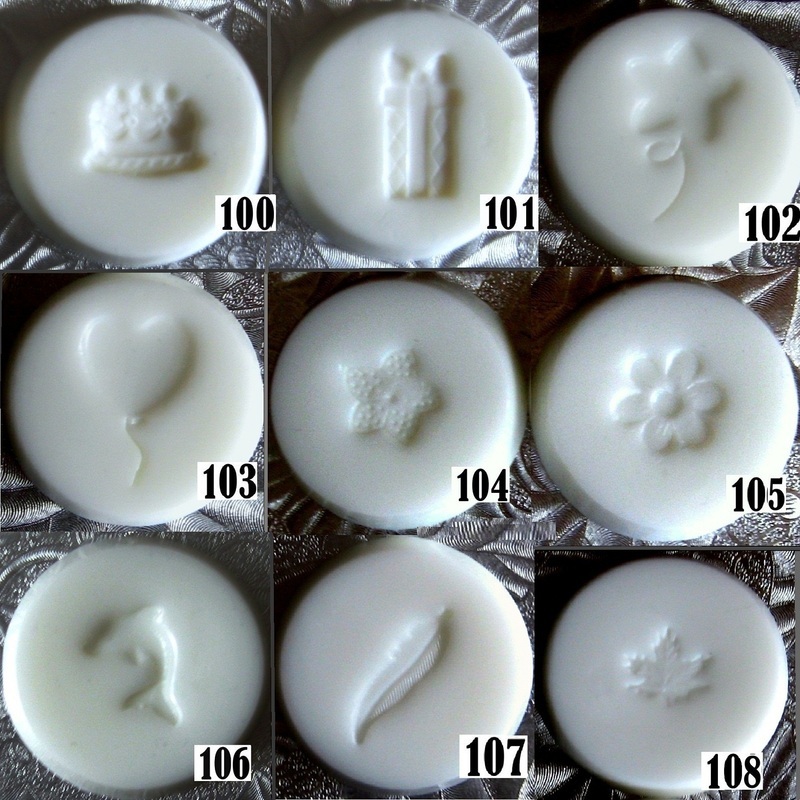 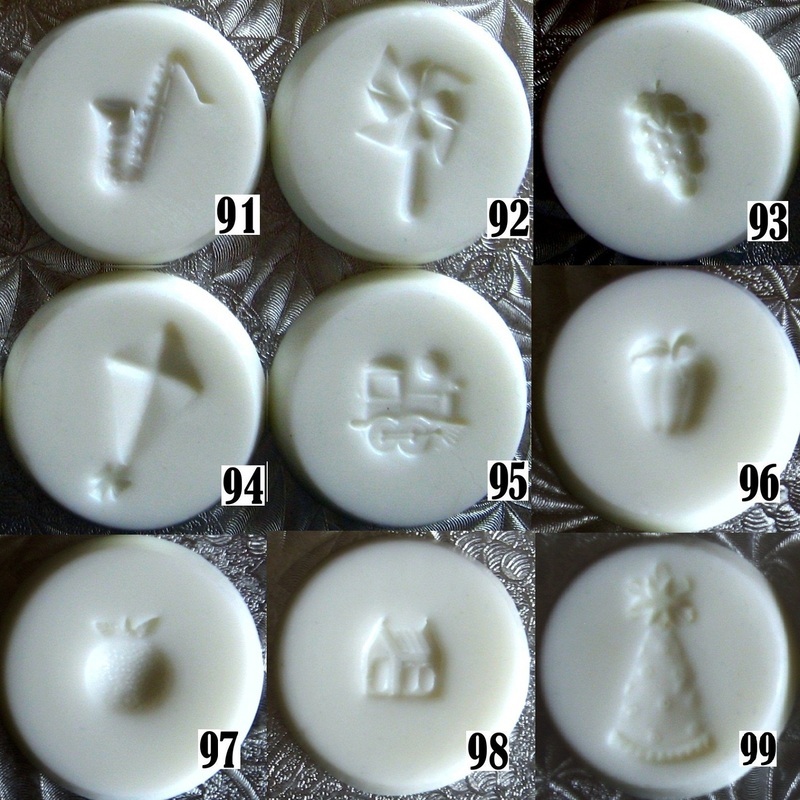 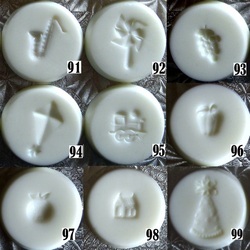 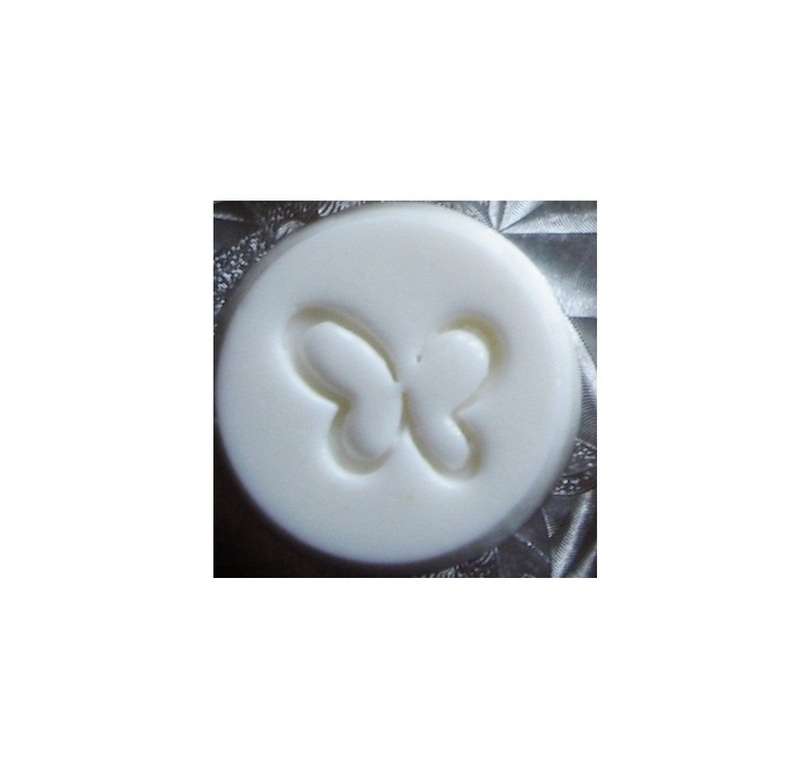 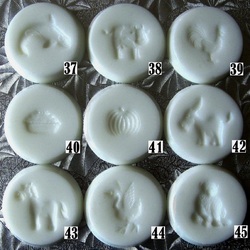 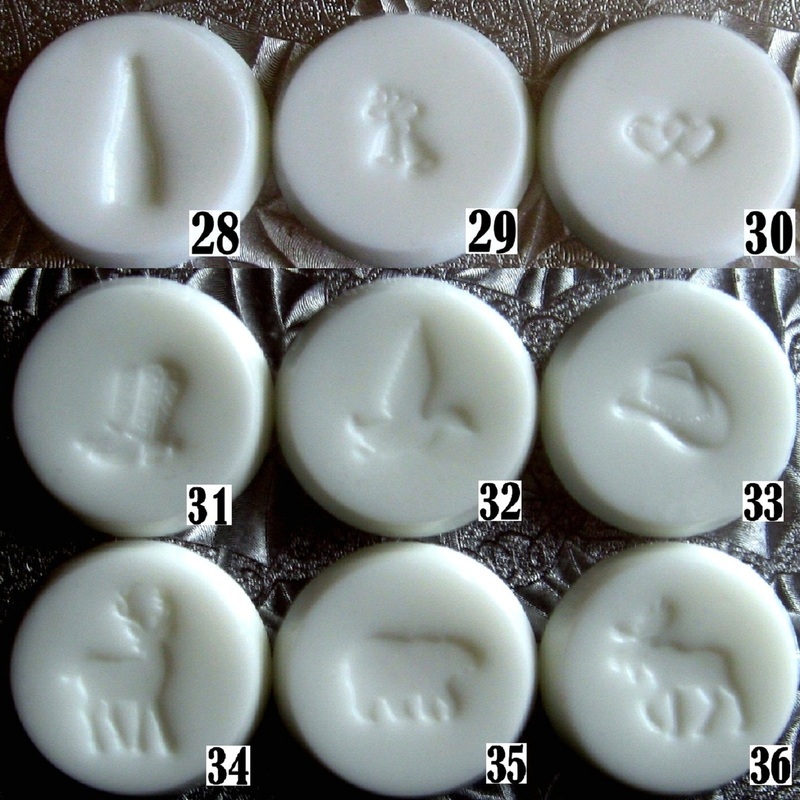 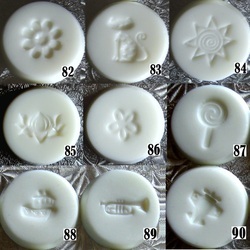 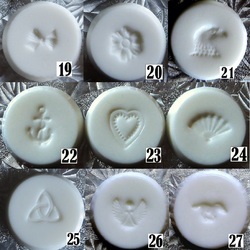 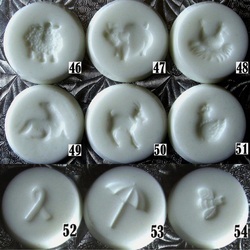 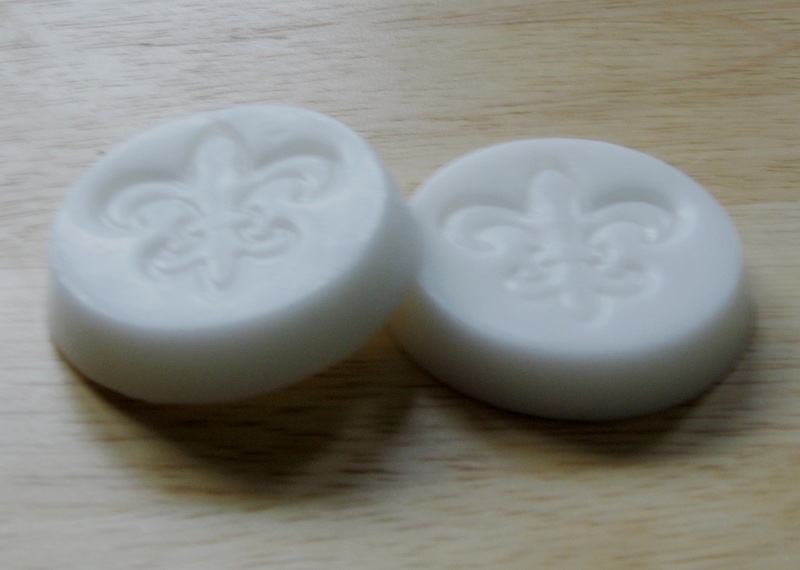 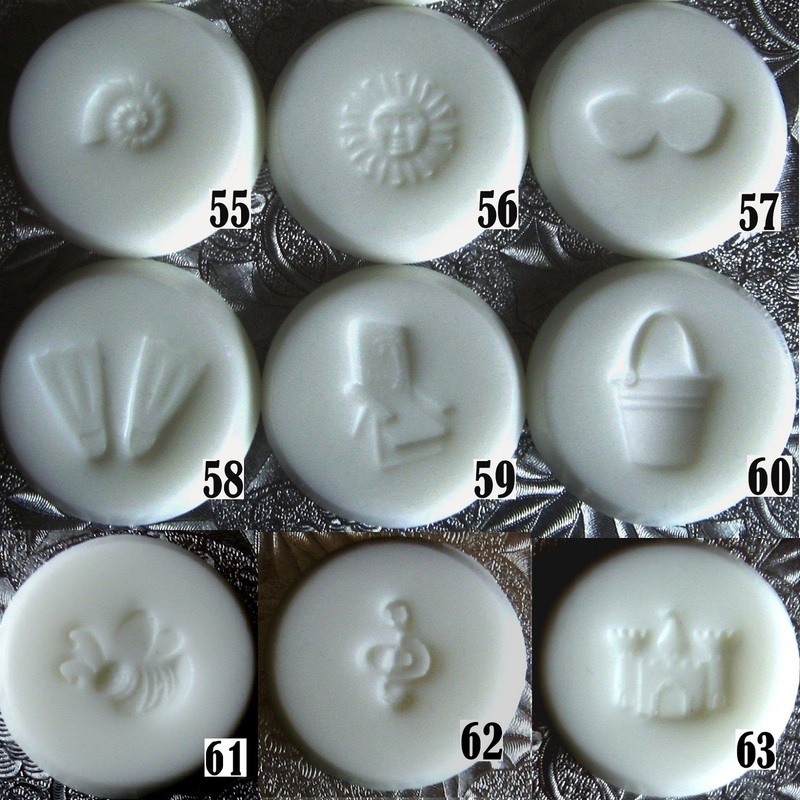 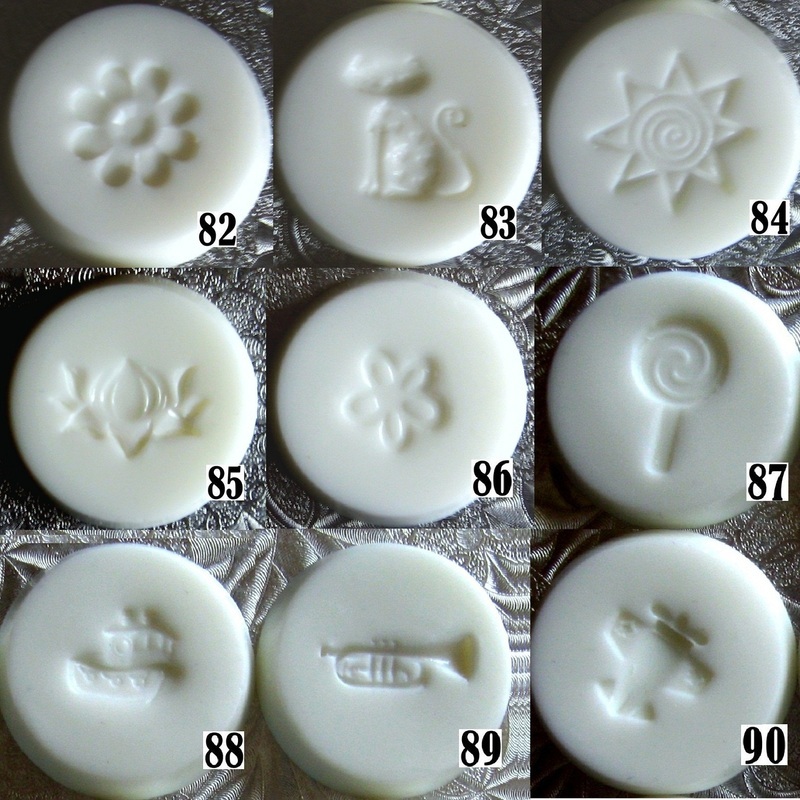 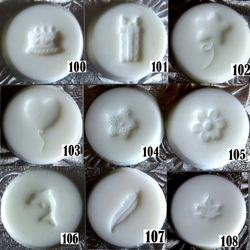 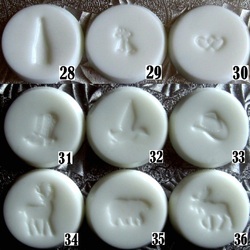 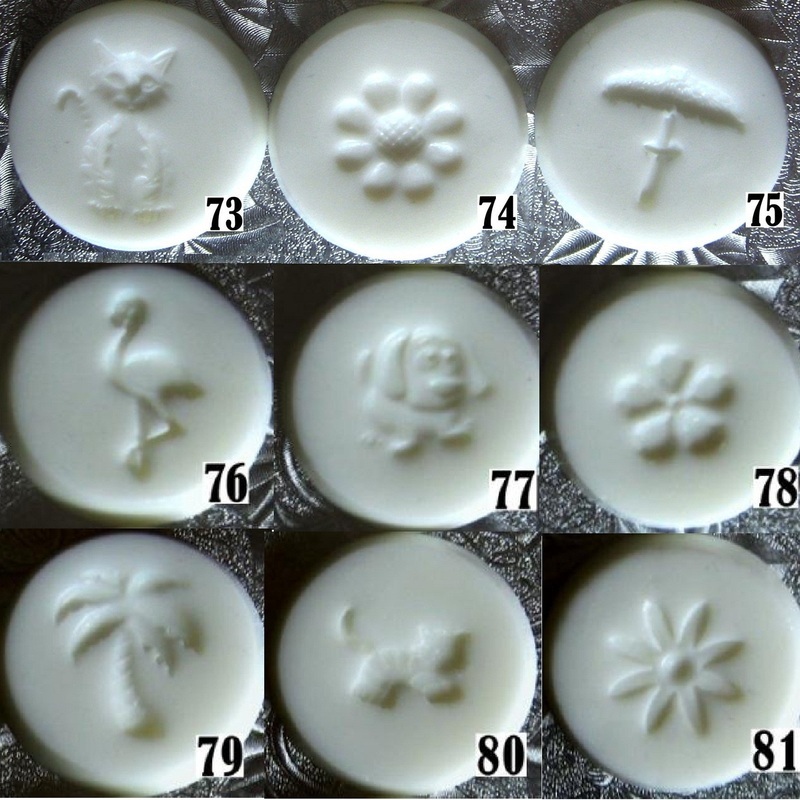 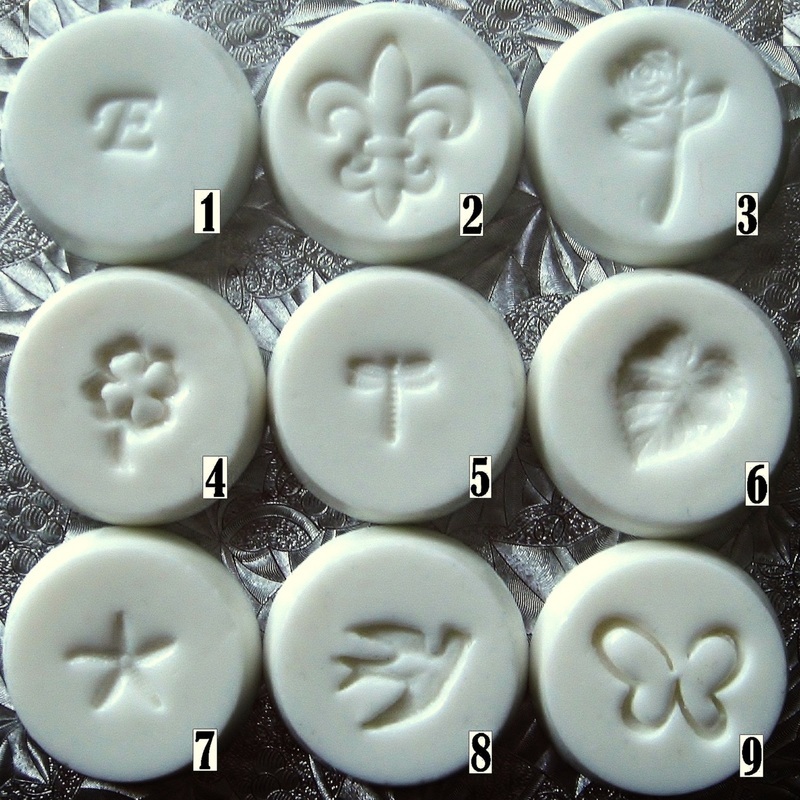 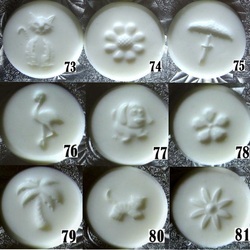 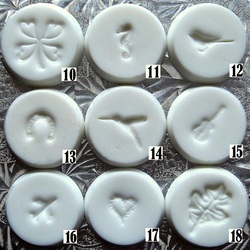 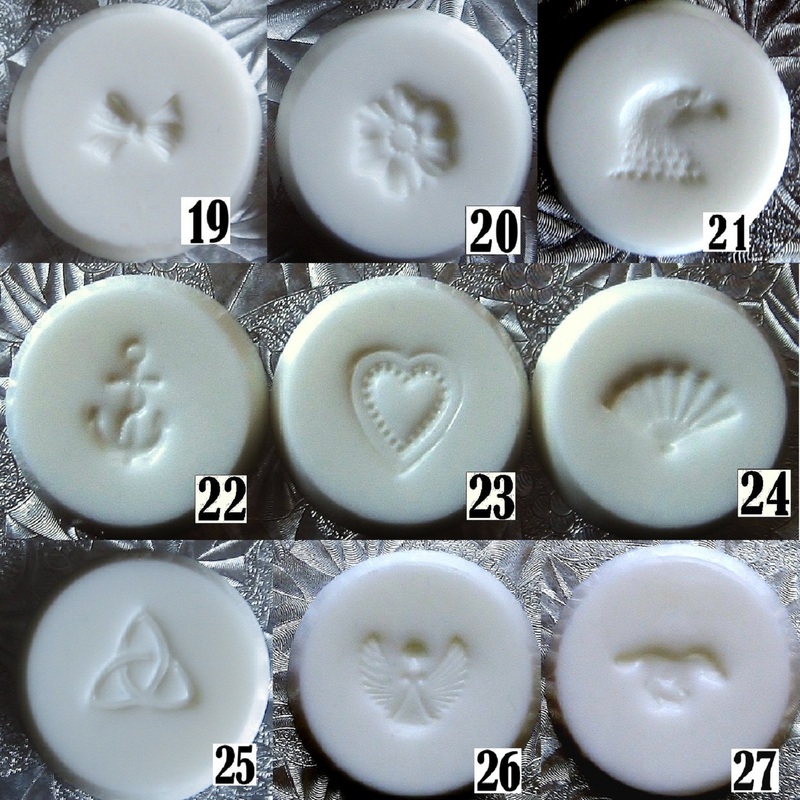 Get our most amazing premium custom embossed Goat's Milk Soaps in any designs of your choice! Our products are second to none - you simply won't find a better Goat's Milk product anywhere. 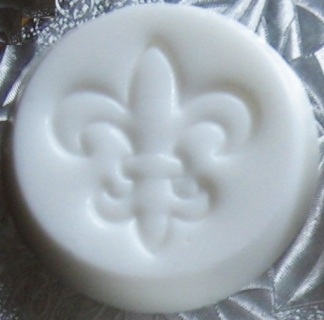 These make excellent wedding and party favors and are the perfect soaps for spas, B&B's, hotels and more! 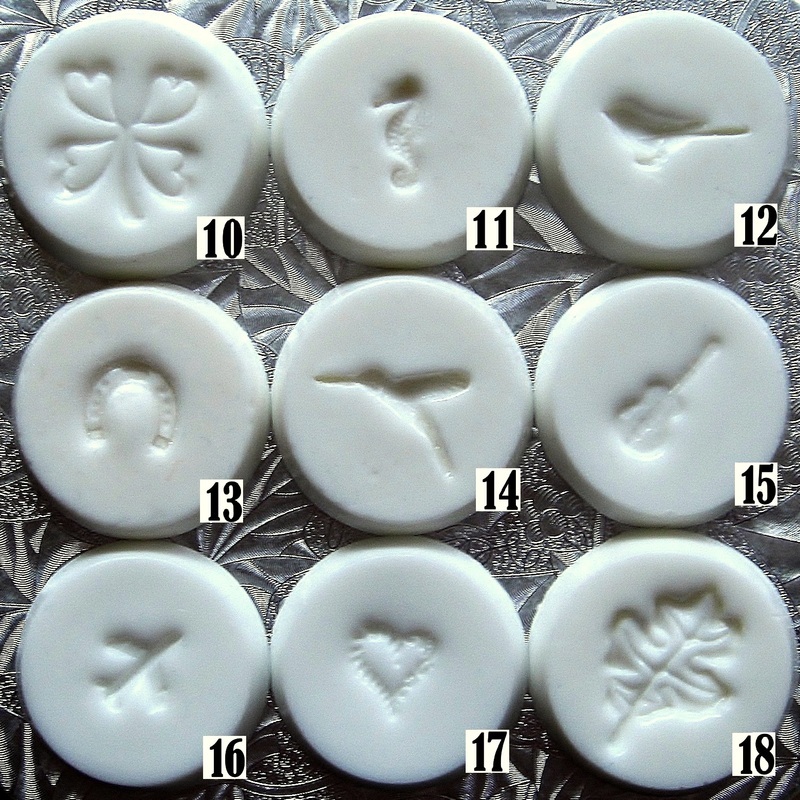 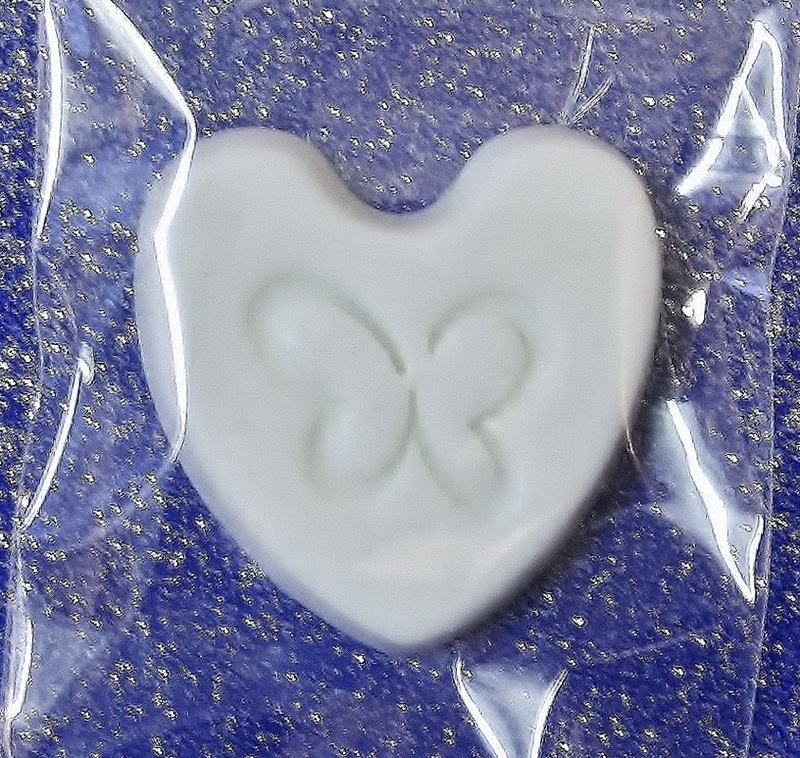 Our luxurious custom embossed goat's milk soap bars (available in heart, round, star and heart shapes, as pictured below) are simply perfect for any occasion, and always make a great impression! 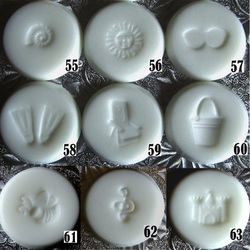 Each bar comes complete in its own cellophane wrapper. 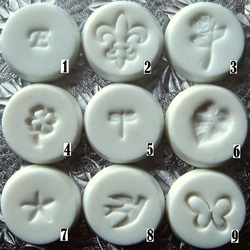 Don't see the design you're looking for pictured below? 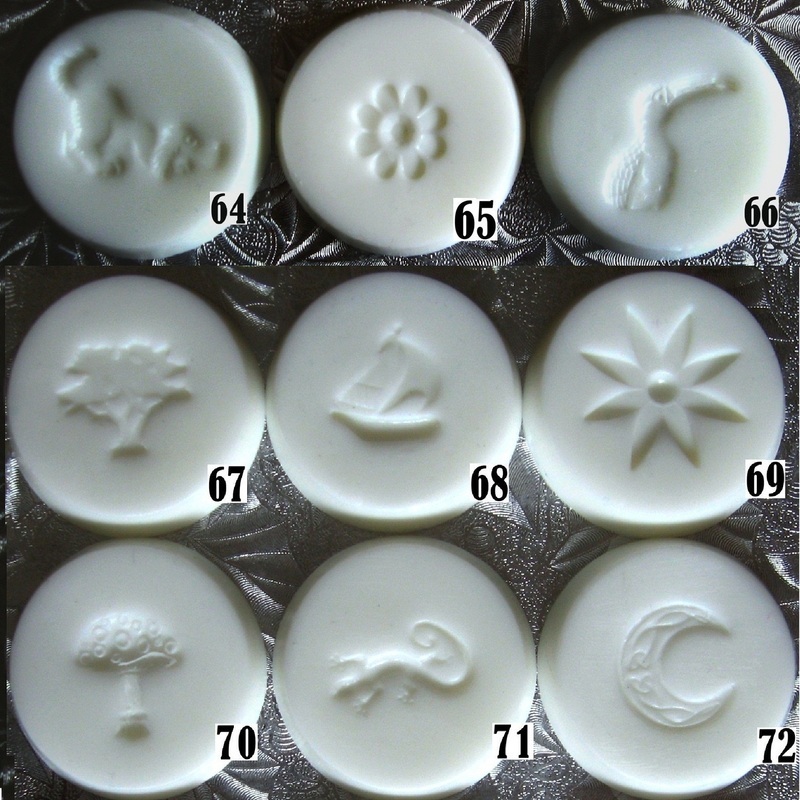 Send an email to wecare@icandysoaps.com and let us know the general design you're interested in - there is a good chance we can help!